Join us on Wednesday, November 9th for an evening of fun with snacks, wine, and the chance to win some amazing prizes! 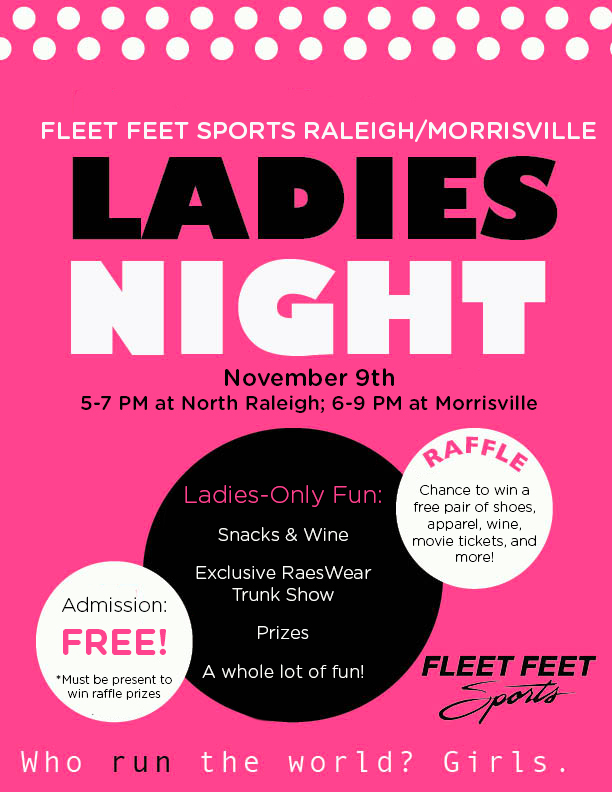 This event will take place at our North Raleigh location from 5-7, and our Morrisville store from 6-9. Both events will also feature an exclusive trunk show showcasing fall apparel from RaesWear! RaesWear's hands-free clothing is designed with built-in storage for your phone, ID, and anything else you want to carry on a run, eliminating the need for belts or armbands. This event is FREE! Grab some friends and come have fun!